Grab this Pink Storm tote today and show up in fashion on the lanes. This tote holds up to men's size 15 shoes and has an zippered accessory pocket. Nice bag! Would purchase again! This bag is perfect for my needs. I bowl twice a week and my other bag finally ripped. I ordered this on a Friday and it arrived the next morning! Great service!! 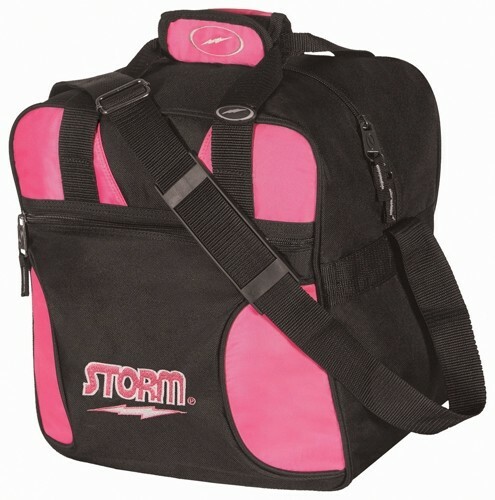 Due to the time it takes to produce the Storm Solo Single Tote Black/Pink ball it will ship in immediately. We cannot ship this ball outside the United States.